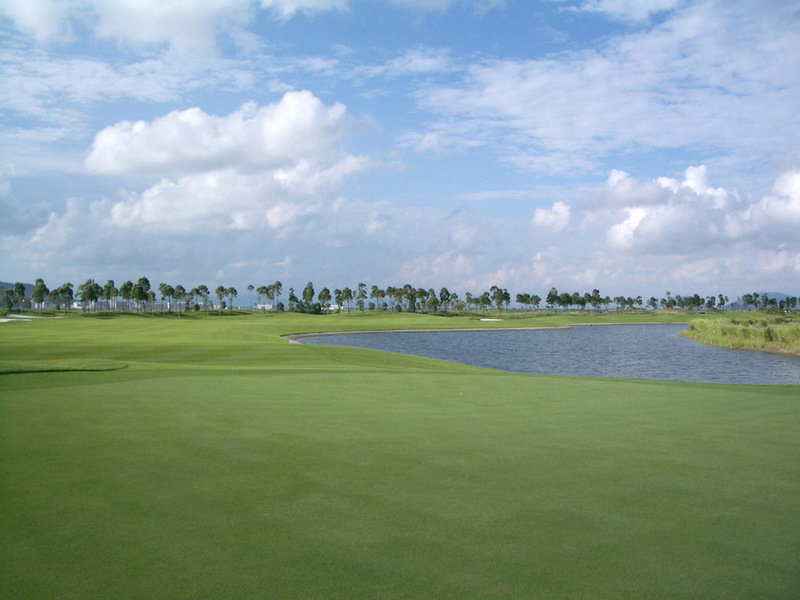 It is a flat course on a coastal reclamation site, with water coming into play on many holes. 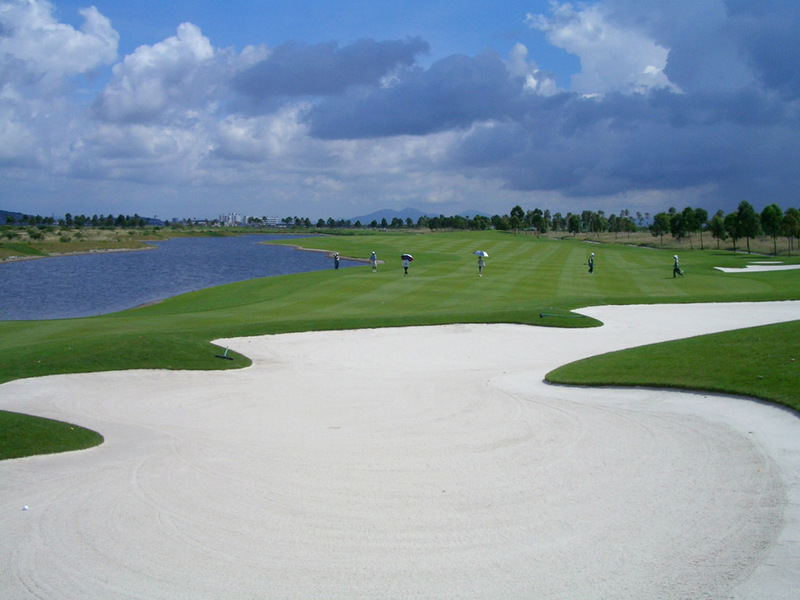 Bunkers are strategically well positioned which also enhances the overall beauty. 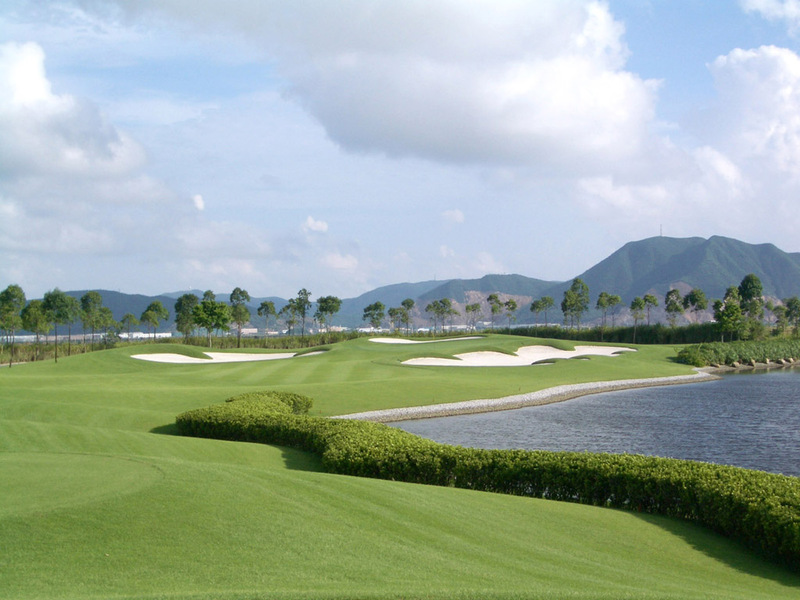 You can not have a good score unless you hit accurate shots to avoid bunkers and water hazards. There are 27 holes. The C course that I did not play this time is very long, 3741 yards for 9 holes and it has the only night golfing facility. 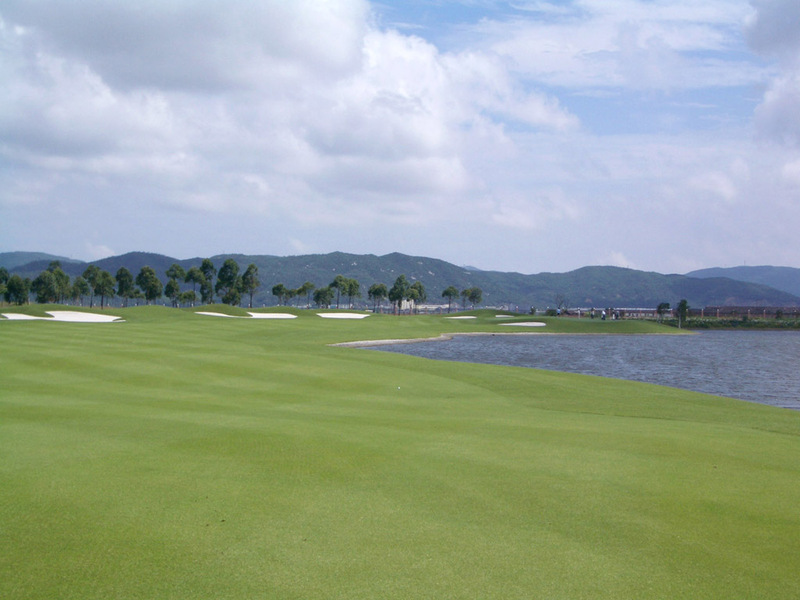 The course has the bent grass fairways that are very rare in the southern China because the bent glass is notorious for hot weather. 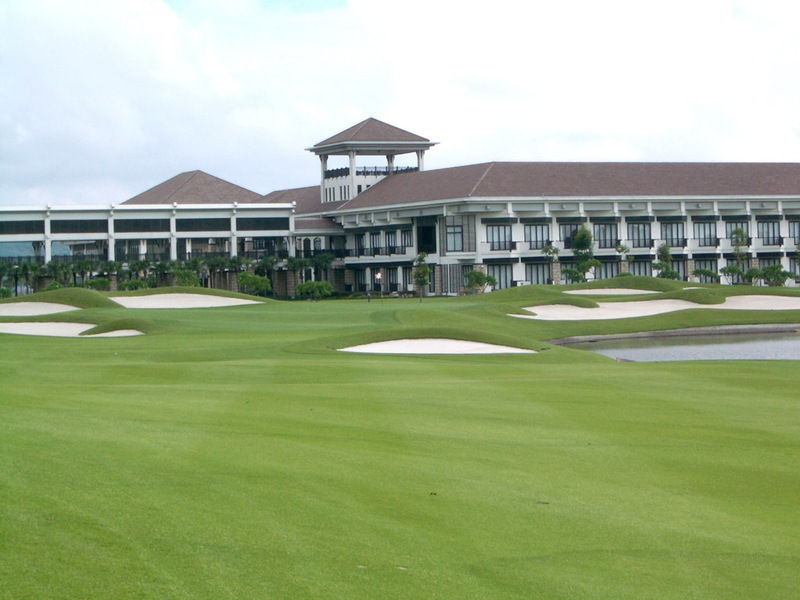 The clubhouse seen from the 9th and 18th holes is breathtakingly pretty. 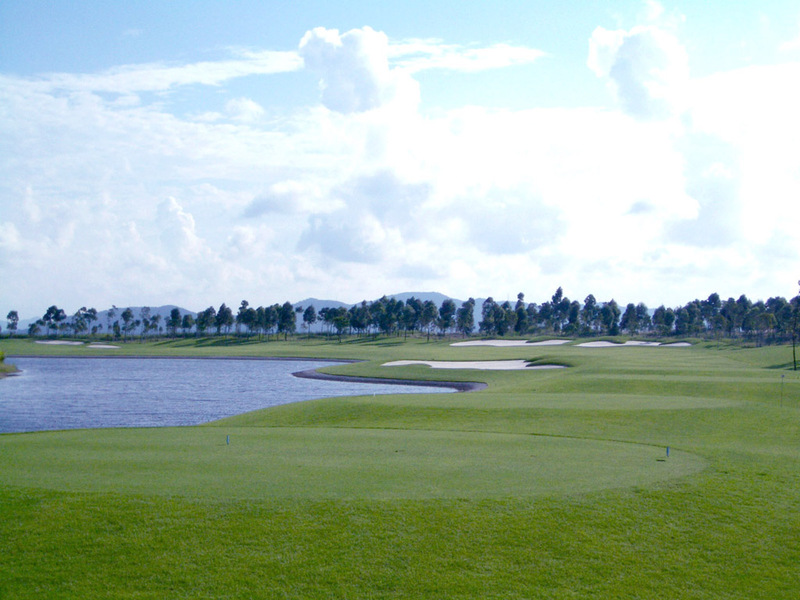 The club was picked as the best new course in China in 2002. 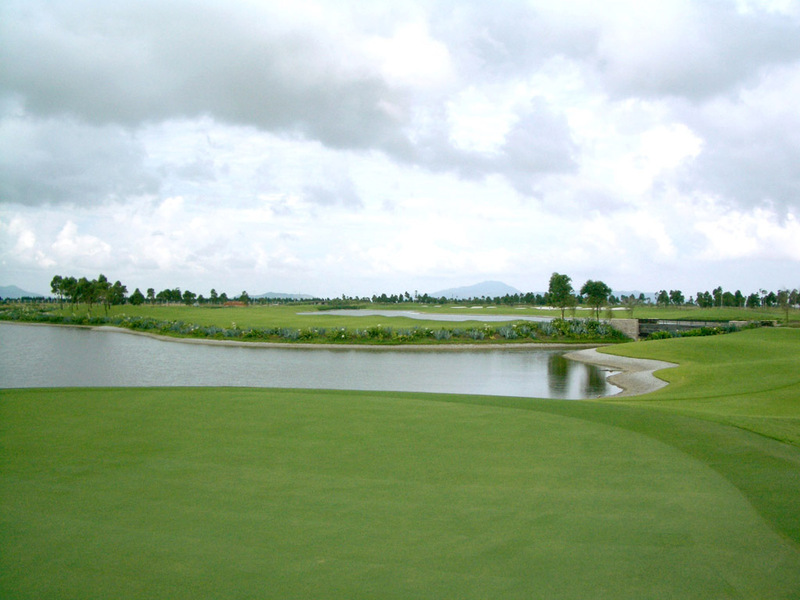 A long par 5 with a lake on the right side of the hole. 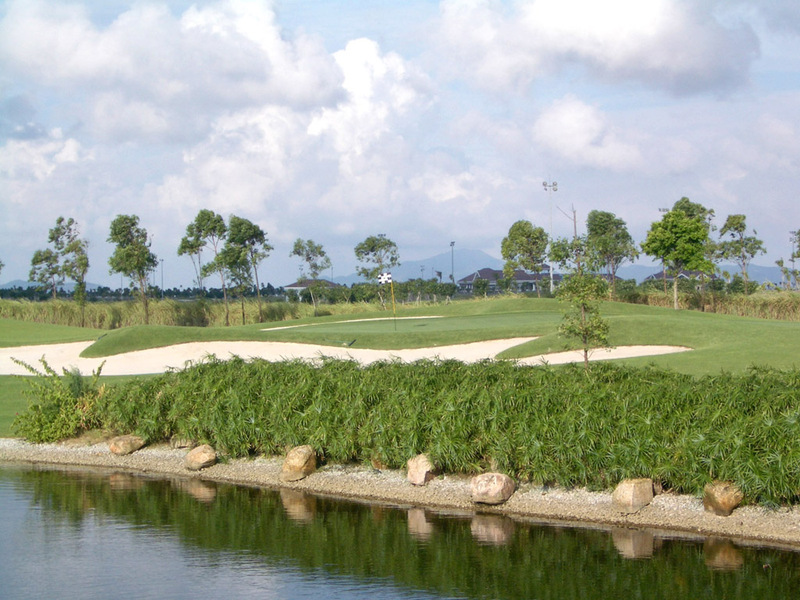 The tee shot is demanding because of the tight fairway, the lake and well-positioned bunkers on the right. The approach shot should be accurate since the lake actually surrounds the green except for the left side. 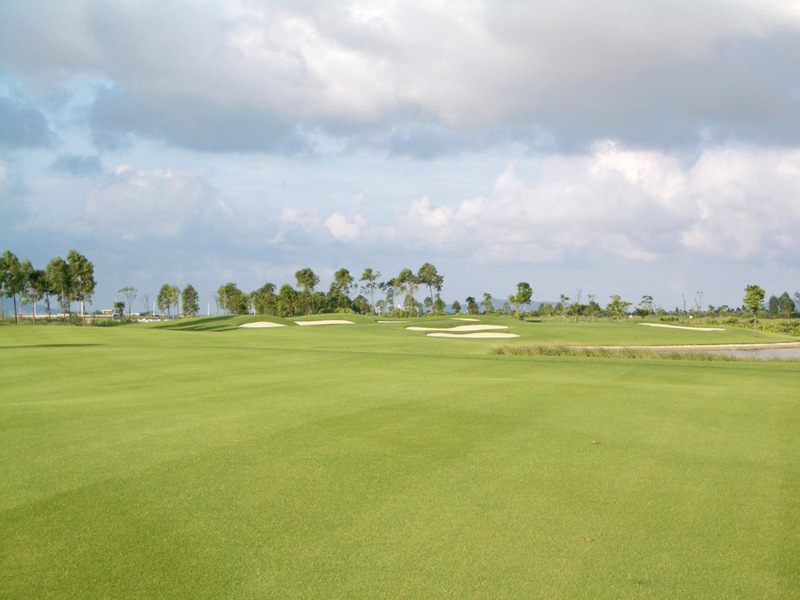 The green is big and has good undulations. A dogleg to the left. 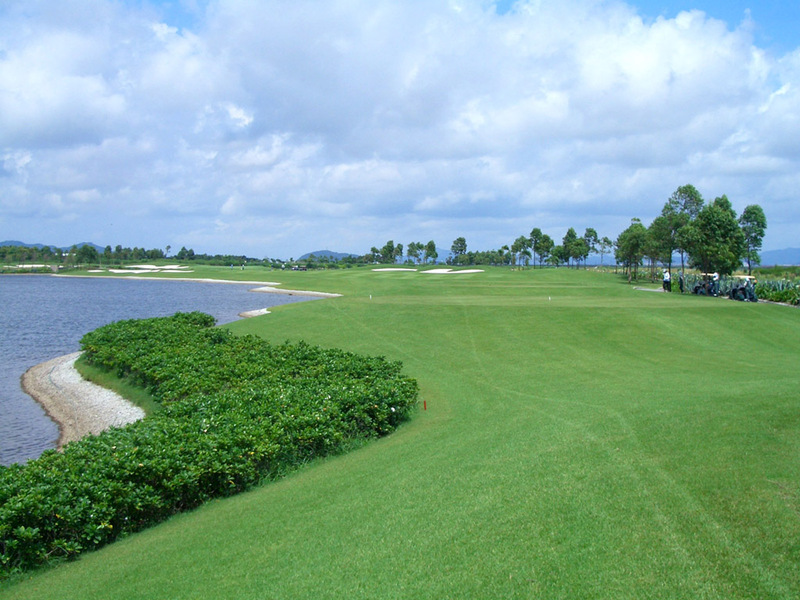 The water hazards guard both sides of the relatively narrow fairway. 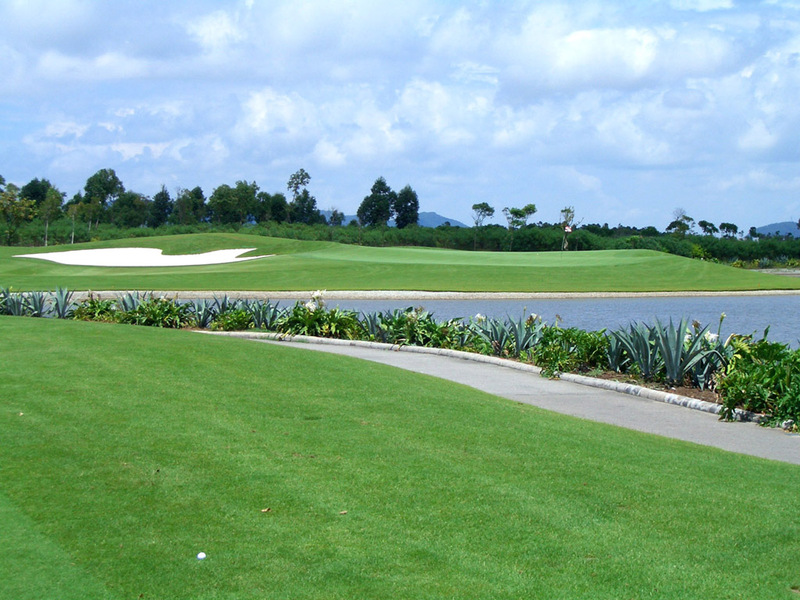 The approach shot is over water because of the lake which covers an area from the front edge of the green to a point 90 yards out. The elevated green is really beautiful. A beautiful par 3. The green is guarded by bunkers and there is water on the right. 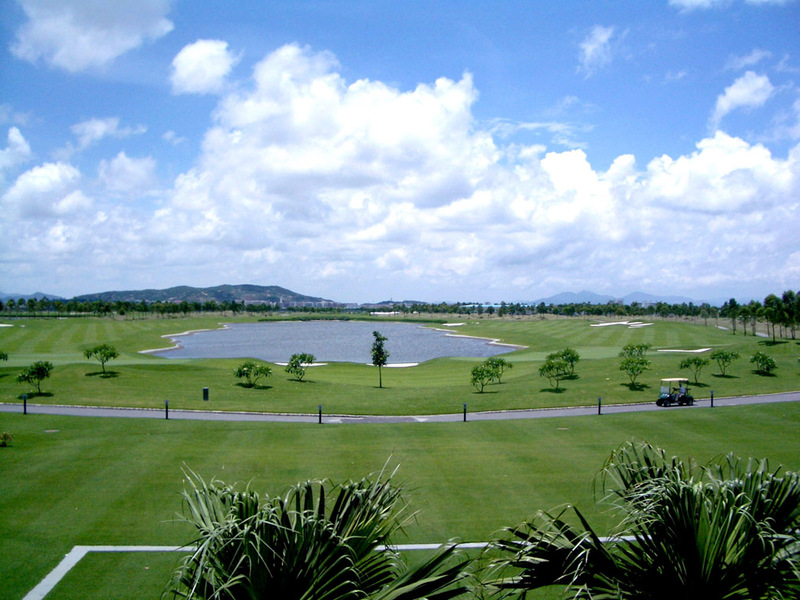 A slight dogleg to the right with the lake running the right of the hole. This par-4 9th is like the mirror image of the par-4 18th with the lake separating the 2 par 4s. 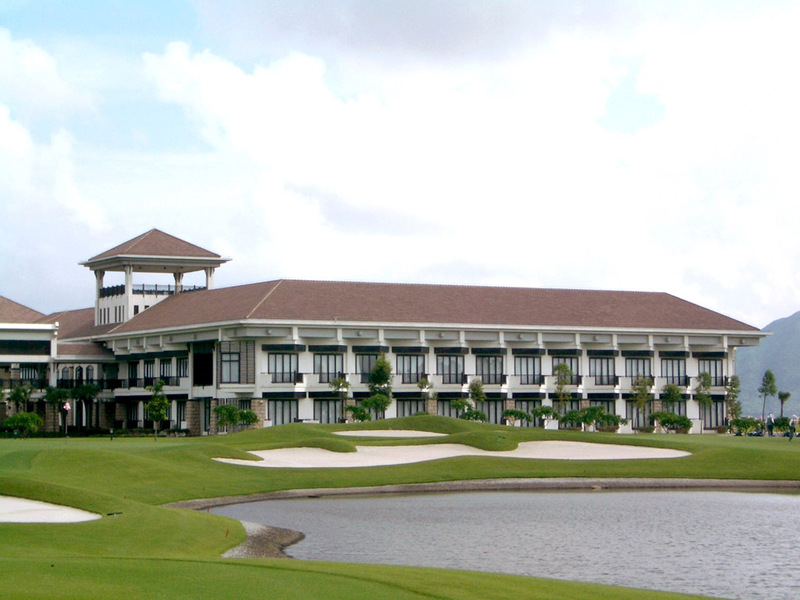 The view of the clubhouse and the hotel from the hole is beautiful. 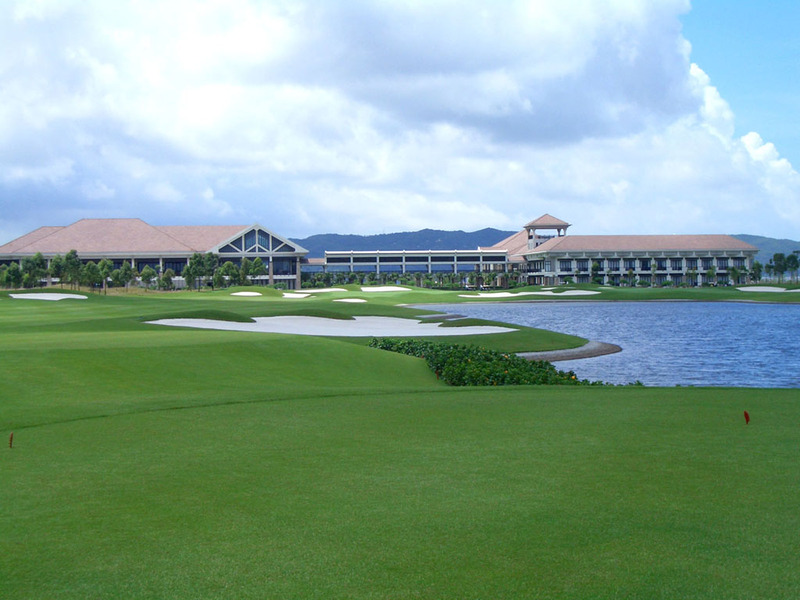 A sharp dogleg to the left with a great layout and view. 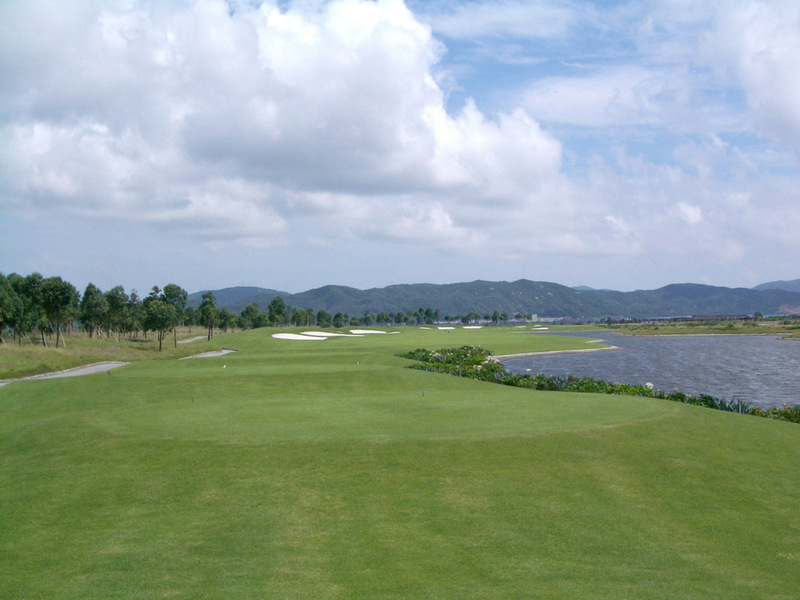 Although a lake guards the left side of the hole, you had better avoid the wider part of the lake on the tee shot, as this will greatly reduce the length of the second shot. 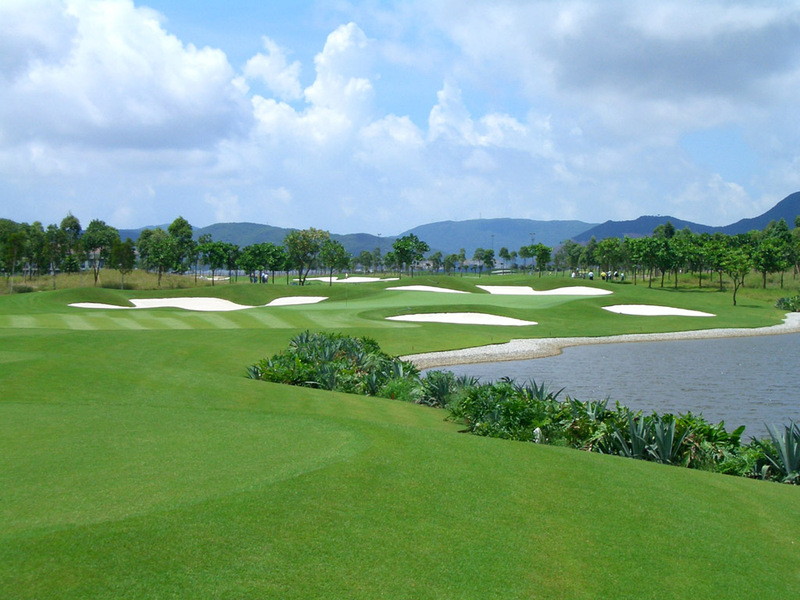 When the pin position is at the back, the second shot needs to be over the bunkers, so it will be more difficult. A neat par 3 with a little elevated green. Two bunkers in front of both sides of the green are in play. A dogleg to the left. The left side of the fairway borders the lake and the fairway is tight, too, at this hole. 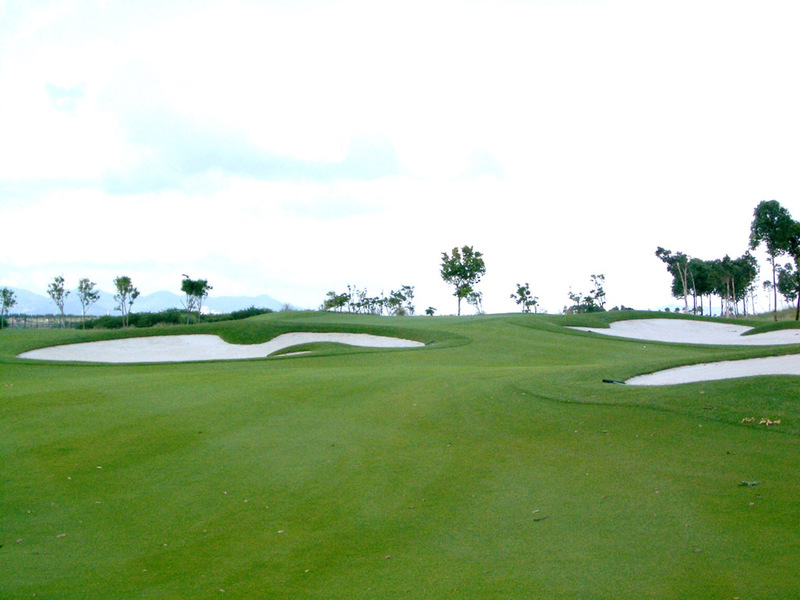 The elevated green is guarded by 3 front bunkers. 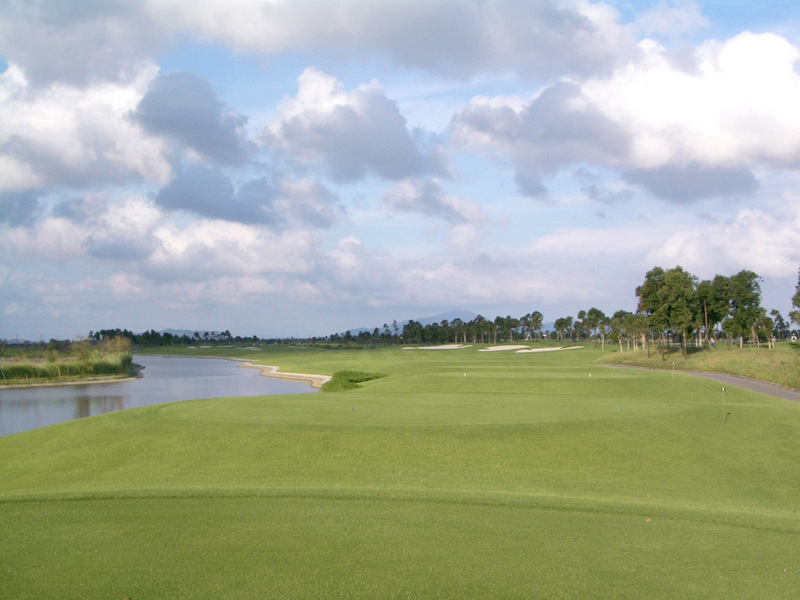 An almost straight hole with water on the right for the tee shot and water on the left for the second. 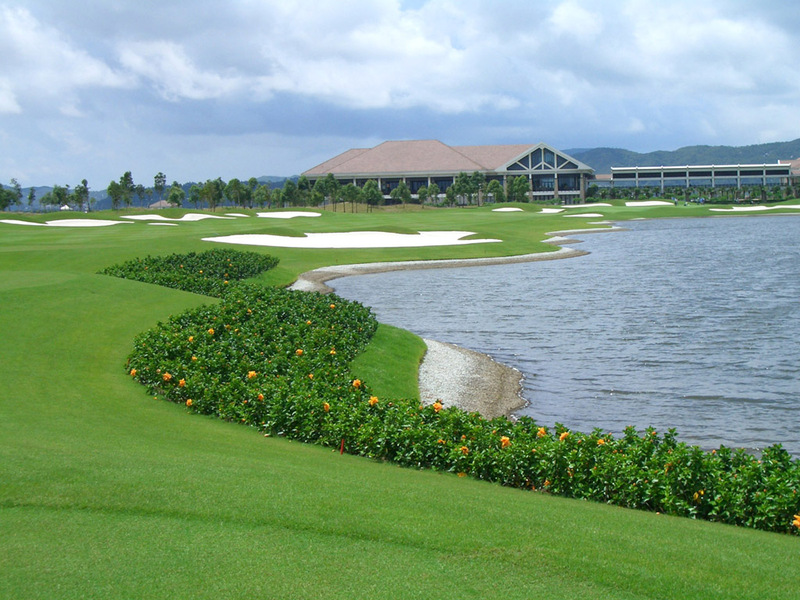 The landing area for the second shot is extremely tight because of the lake at the right side of the fairway. It takes about 30 minutes by the club bus from the Zhuhai ferry terminal. The meals at the restaurant were delicious. 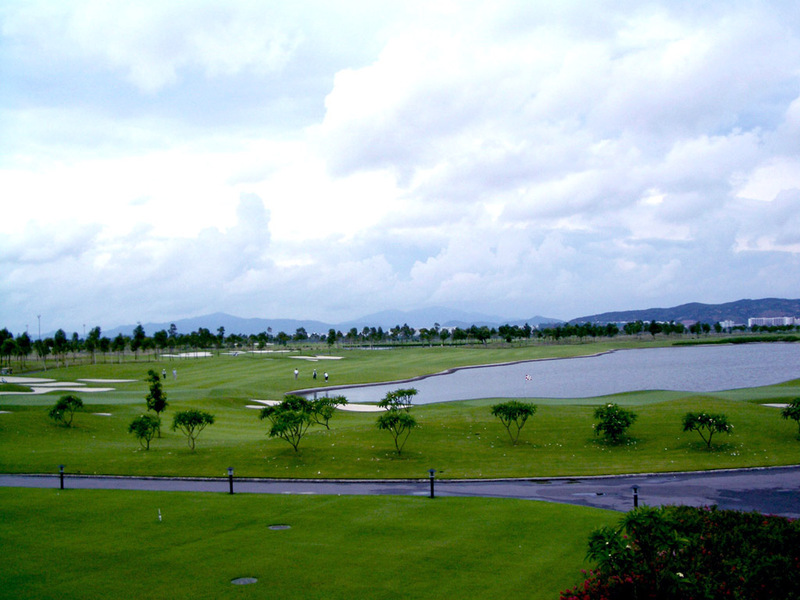 I stayed at the hotel next to the clubhouse and the view from the room was excellent. The course is managed by the world-renowned sports management company, IMG. 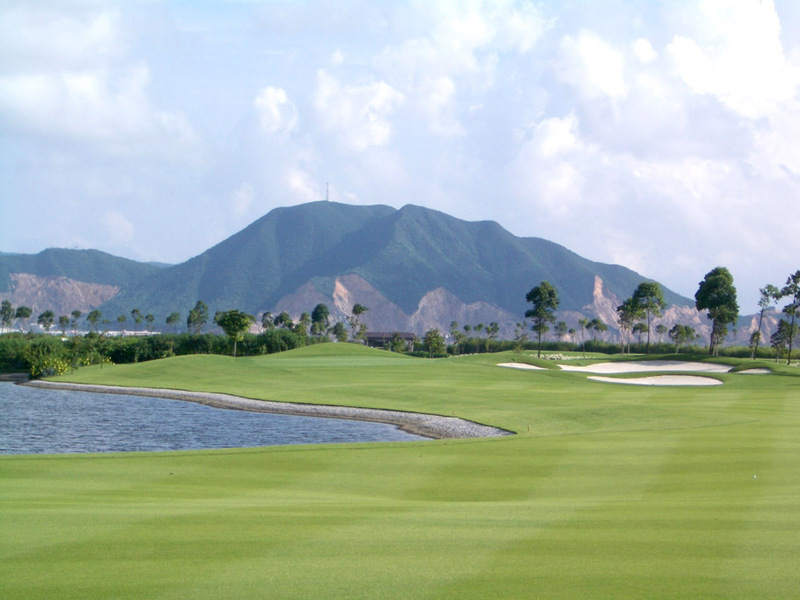 The other Colin Mongomery designed courses in Asia are Meishi Mayflower International (美視五月花国際) GC in China and Raon GC in Korea. 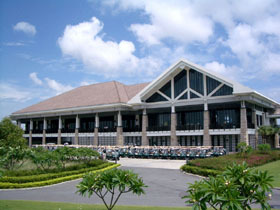 Golden Gulf GC and Meishi Mayflower International GC are managed by the world-renowned sports management company, IMG. The various pretty flowers were planted around the course. The 2 pictures are one of those flowers. Especially, the left flower is called phonics and is quite rare.